Without much fanfare, the Chance the Rapper and Lil B freestyle mixtape, appropriately titled Free, has entered the ether. The two MCs announced the mixtape a few weeks ago, and the Based God liberated it today via SoundCloud. Clocking in at a breezy six tracks, the project features an eclectic array of beats that serve as backdrop for bar after bar of stream-of-consciousness flow. While a lot of rappers nowadays pass off written verses as freestyles, one spin through Free and you can tell that this truly is an off the dome project. There are moments where you can hear both rappers free associating, and there’s a certain infectious fun that comes from hearing two of the game’s biggest young MCs just get in the booth and record without any fear of failure. The project doesn’t rival either artist’s best work, but really it isn’t supposed to, and it works much more as a testament to their love of hip-hop than an official release. Particular standouts include the menacing “We Rare,” and the soulful opener “Last Dance,” which features a particularly clever “Acid to Bases” quip from Chance, but really this is a project that works best when you just listen straight through and bask in the rappers’ chemistry. A couple people got upset the other day that I posted a Lil B track, which quite frankly threw me off for a couple reasons. 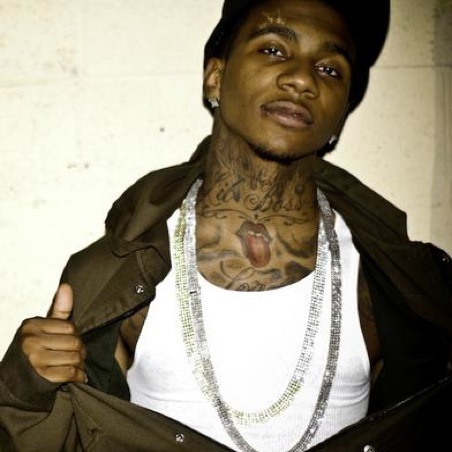 First – I’ve been back and forth on Lil B, and I made that very clear in that post. Second – this is a blog. There are so many different posts on this site, all of varying genres. If one thing doesn’t suit your tastes, I hope you’ll be able to roll with it and skip to the next post. It’s impossible to please everybody. Anyway, those are my thoughts on that issue. Well, I’m back with another Lil B song, and please hear out my thoughts on it. The pendulum has swung again and I think I’m back in the land of mockery when it comes to Lil B’s music. The only thing I really like about this song is the sample, because it’s an Imogen Heap song. That right there, I dig. Lil B’s part in it? Not digging. I seriously think this kid has some mental issues. He’s so self-confident and self-conscious at the same time, no? This track is quite a bit laughable to me, what do you guys think? Shout out to Mostly Junk Food. Lil B, Jean Grae, and Phonte on the same beat? It almost sounds unreal. Then I found out that 9th Wonder produced the beat. Yep, it’s unreal, that’s for sure. I was starting to get a little jaded by Lil B’s work, but this song reinstalls a bit of confidence in him for me. He sounds a bit more legitimate, rather than just yelling SWAG! all the time. That’s all good and funny, but I wasn’t really able to take the kid seriously anymore. Getting 9th Wonder to produce a beat and pulling Phonte and Jean Grae onto it definitely legimitizes Lil B. Let’s go. Swag. Shout out to Revolution Media Group. The second Lil B said “Staring through my rearview” I knew I was going to love him. To be honest, I hadn’t really been paying attention to all this talk of Lil B, even though my buddy Confusion from Pigeons and Planes is always raving about him. But I gave him a chance tonight and I’m totally seeing the light. I feel like I’ve come across another Cudi-type. Lonely, sad, confused, and making wonderful dark hip hop. He’s sampling How to Dress Well’s “Ready for the World” in this piece. What do yall think – promising?